Create, render and visualize at breakneck speeds with the industry-leading performance and flexibility of the Z4 and Z6 workstations. 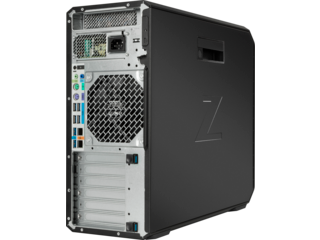 Perfect for engineering, the Z4 delivers mainstream performance for a range of applications. With server-grade processing and a broad set of features get all you need, nothing more. Ideal for VFX and rendering, the Z6 offers a range of processing power and the flexibility to expand components. 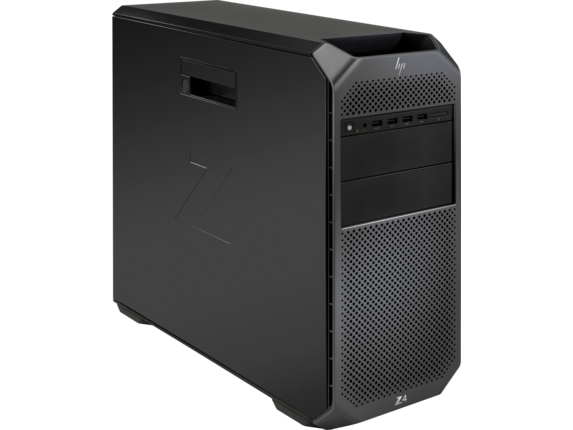 HP Z Workstations are the optimal platform for edge-computing environments. When you need real-time interaction, low latency and top-notch security on massive data sets, cloud computing can't compare with local Z Workstation power. As sophisticated on the inside as it is on the outside, the Z4/Z6 is designed with tool-less access to the interior for quick upgrades. Run more simulations and design iterations or edit 8K video in real time with the relentless power of the Z4 and Z6. Advanced security features come standard on Z Workstation. Rest assured your data is safe with HP Sure Start, the industry's first self-healing BIOS with intrusion detection. Precisely placed vents and ducts streamline airflow for ultra-quiet performance. Visualize work with an ultra-smooth VR experience. 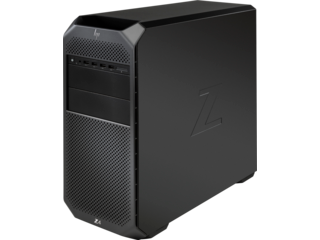 The Z4 and Z6 workstation have high-performance processors and graphics cards to bring VR to life. Compare the features and specifications of the HP Z4 and HP Z6 and choose the workstation that is right for you. 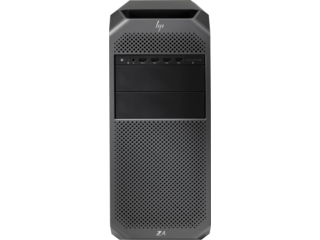 Based on HP's unique and comprehensive security capabilities at no additional cost and HP's Manageability Integration Kit's management of every aspect of a PC including hardware, BIOS and software management using Microsoft System Center Configuration Manager among desktop workstation vendors as of June, 2017 on HP Desktop Workstation with 7th Gen Intel® Processors. AMD is a trademark of Advanced Micro Devices, Inc. Intel and Xeon are trademarks of Intel Corporation in the U.S. and other countries. Microsoft and Windows are either registered trademarks or trademarks of Microsoft Corporation in the United States and/or other countries. NVIDIA is a trademark and/or registered trademarks of NVIDIA Corporation in the U.S and other countries. USB Type-C™ is a trademark of USB Implementers Forum. In accordance with Microsoft's support policy, HP does not support the Windows 8 or Windows 7 operating system on products configured with Intel and AMD 7th generation and forward processors or provide any Windows 8 or Windows 7 drivers on http://www.support.hp.com. For systems installed with Microsoft Windows 7 (Ultimate, Enterprise or Professional), the maximum accessible system memory is 192 GB. Windows 7 is not supported on the Intel® Core XTM - Series processor configurations. Windows 7 is not supported on the Intel® Core XTM - Series processor configurations. For systems installed with Microsoft Windows 8.x (Enterprise or Pro), the maximum accessible system memory is 512 GB. HP VR Ready Configurations available. Perfect for engineering, visualization and Machine Learning, HP's most popular workstation delivers disruptive performance for a wide spectrum of applications. With a choice of Intel® Xeon® or Core™ X processors, and support for dual extreme graphics, you get all you need, nothing more. 2 PCIe 3 x4; 2 PCIe 3 x4, 1 M.2 PCIe 3 x4, 1 PCIe x8, 2 PCIe x16 (for Intel® Core™ i9-X configurations); 2 PCIe 3 x4, 1 M.2 PCIe 3 x4, 1 PCIe x8 (mechanical only), 1 PCIe x16 (x8 electrical), 1 PCIe x16 (for Intel® Core™ i7-X configurations) Slots 2 and 4: PCH with open-ended connector. Slot 5: CPU with open-ended connector. M.2 Slots: CPU up to 80 mm storage devices. Protected by HP Services, including a 3 years parts, 3 years labor, and 3 years onsite service (3-3-3) standard limited warranty. Certain restrictions. 24/7 operation will not void the HP warranty. Not all features are available in all editions or versions of Windows. Systems may require upgraded and/or separately purchased hardware, drivers, software or BIOS update to take full advantage of Windows functionality. Windows 10 is automatically updated, which is always enabled. ISP fees may apply and additional requirements may apply over time for updates. See http://www.windows.com. Multicore is designed to improve performance of certain software products. Not all customers or software applications will necessarily benefit from use of this technology. Performance and clock frequency will vary depending on application workload and your hardware and software configurations. Intel’s numbering, branding and/or naming is not a measurement of higher performance. Some Intel® vPro™ functionality of this technology, such as Intel® Active management technology and Intel Virtualization technology, requires additional 3rd party software in order to run. Availability of future "virtual appliances" applications for Intel vPro technology is dependent on 3rd party software providers. Microsoft Windows required. Intel vPro is supported only with Intel® Xeon™ configurations. For hard drives and solid state drives, 1 GB = 1 billion bytes. TB = 1 trillion bytes. Actual formatted capacity is less. Up to 30 GB of system disk is reserved for system recovery software. Duplication of copyrighted material is strictly prohibited. Actual speeds may vary. Double Layer media compatibility will widely vary with some home DVD players and DVD-ROM drives. Note that DVD-RAM cannot read or write to 2.6GB Single Sided/5.2 Double Sided-Version 1.0 Media. No support for DVD RAM. With Blu-Ray, certain disc, digital connection, compatibility and/or performance issues may arise, and do not constitute defects in the product. Flawless playback on all systems is not guaranteed. In order for some Blu-ray titles to play, they may require a DVI or HDMI digital connection and your display may require HDCP support. HD-DVD movies cannot be played on this Desktop PC. HP Client Security Manager G3 - Requires Windows and Intel® 7th or 8th generation processors. Wireless access point and Internet access required. Availability of public wireless access points limited. The specifications for the 802.11ac WLAN are draft specifications and are not final. If the final specifications differ from the draft specifications, it may affect the ability of the notebook to communicate with other 802.11ac WLAN devices. External power supplies, power cords, cables and peripherals are not low halogen. Service parts obtained after purchase may not be low halogen. HP Remote Graphics Software requires network connection. Performance dependent on network latency and image frame content. 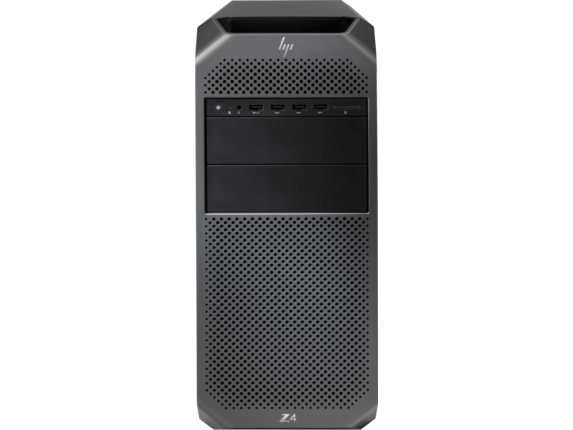 HP BIOSphere G3 requires Intel® 7th generation processors. HP Secure Erase: For the methods outlined in the National Institute of Standards and Technology Special Publication 800-88 "Clear" sanitation method. Each bay is configurable to 2.5” or 3.5”. HP MIK/SCCM - HP Manageability Integration Kit can be downloaded from http://www.hp.com/go/clientmanagement. HP Keyed Cable Lock Kit is available only as an aftermarket option. Available the first half of 2018. I210-AT, I219-V are available in Intel® Xeon® configurations only. In accordance with Microsoft’s support policy, HP does not support the Windows 8 or Windows 7 operating system on products configured with Intel and AMD 7th generation and forward processors or provide any Windows 8 or Windows 7 drivers on http://www.support.hp.com. 465W and 750W power supply options are only available for Intel® Xeon® configurations. Supported only on Intel ® Xeon® configurations: Not supported with Intel® Core XTM processor configurations. Available on Intel® Xeon® W processor configurations only. Available on Intel® Core™ X-Series processor configurations only. Choice of Intel Core X processor family will affect other configuration choices and system feature set availability; refer to the product Quickspecs for details. Intel® C422 for Intel® Xeon® configurations, Intel® X299 for Intel® Core™ X configurations. HP Sure Click is available on most HP PCs and supports Microsoft® Internet Explorer, Google Chrome, and Chromium™. Supported attachments include Microsoft Office (Word, Excel, PowerPoint) and PDF files in read only mode, when Microsoft Office or Adobe Acrobat are installed. Intel® Turbo Boost technology requires a PC with a processor with Intel Turbo Boost capability. Intel Turbo Boost performance varies depending on hardware, software and overall system configuration. See www.intel.com/technology/turboboost for more information. HP Performance Advisor – Internet access required. 1 Not all features are available in all editions or versions of Windows. Systems may require upgraded and/or separately purchased hardware, drivers, software or BIOS update to take full advantage of Windows functionality. Windows 10 is automatically updated, which is always enabled. ISP fees may apply and additional requirements may apply over time for updates. See http://www.windows.com. 2 Multicore is designed to improve performance of certain software products. Not all customers or software applications will necessarily benefit from use of this technology. Performance and clock frequency will vary depending on application workload and your hardware and software configurations. Intel’s numbering, branding and/or naming is not a measurement of higher performance. 3 Some Intel® vPro™ functionality of this technology, such as Intel® Active management technology and Intel Virtualization technology, requires additional 3rd party software in order to run. Availability of future "virtual appliances" applications for Intel vPro technology is dependent on 3rd party software providers. Microsoft Windows required. Intel vPro is supported only with Intel® Xeon™ configurations. 4 For hard drives and solid state drives, 1 GB = 1 billion bytes. TB = 1 trillion bytes. Actual formatted capacity is less. Up to 30 GB of system disk is reserved for system recovery software. 5 Duplication of copyrighted material is strictly prohibited. Actual speeds may vary. Double Layer media compatibility will widely vary with some home DVD players and DVD-ROM drives. Note that DVD-RAM cannot read or write to 2.6GB Single Sided/5.2 Double Sided-Version 1.0 Media. No support for DVD RAM. 6 With Blu-Ray, certain disc, digital connection, compatibility and/or performance issues may arise, and do not constitute defects in the product. Flawless playback on all systems is not guaranteed. In order for some Blu-ray titles to play, they may require a DVI or HDMI digital connection and your display may require HDCP support. HD-DVD movies cannot be played on this Desktop PC. 7 HP Client Security Manager G3 - Requires Windows and Intel® 7th or 8th generation processors. 8 For systems installed with Microsoft Windows 7 (Ultimate, Enterprise or Professional), the maximum accessible system memory is 192 GB. Windows 7 is not supported on the Intel® Core XTM - Series processor configurations. Windows 7 is not supported on the Intel® Core XTM - Series processor configurations. For systems installed with Microsoft Windows 8.x (Enterprise or Pro), the maximum accessible system memory is 512 GB. 9 Wireless access point and Internet access required. Availability of public wireless access points limited. The specifications for the 802.11ac WLAN are draft specifications and are not final. If the final specifications differ from the draft specifications, it may affect the ability of the notebook to communicate with other 802.11ac WLAN devices. 10 Optional or add-on feature. 11 EPEAT® registered where applicable. EPEAT registration varies by country. See www.epeat.net for registration status by country. Search keyword generator on HP’s 3rd party option store for solar generator accessories at http://www.hp.com/go/options www.hp.com/go/options 12 External power supplies, power cords, cables and peripherals are not low halogen. Service parts obtained after purchase may not be low halogen. 13 HP Remote Graphics Software requires network connection. Performance dependent on network latency and image frame content. 14 HP BIOSphere G3 requires Intel® 7th generation processors. 15 HP Secure Erase: For the methods outlined in the National Institute of Standards and Technology Special Publication 800-88 "Clear" sanitation method. 16 Each bay is configurable to 2.5” or 3.5”. 17 HP MIK/SCCM - HP Manageability Integration Kit can be downloaded from http://www.hp.com/go/clientmanagement. 18 HP Keyed Cable Lock Kit is available only as an aftermarket option. 19 Available the first half of 2018. 20 I210-AT, I219-V are available in Intel® Xeon® configurations only. 21 In accordance with Microsoft’s support policy, HP does not support the Windows 8 or Windows 7 operating system on products configured with Intel and AMD 7th generation and forward processors or provide any Windows 8 or Windows 7 drivers on http://www.support.hp.com. 22 465W and 750W power supply options are only available for Intel® Xeon® configurations. 23 Supported only on Intel ® Xeon® configurations: Not supported with Intel® Core XTM processor configurations. 24 Available on Intel® Xeon® W processor configurations only. 25 Available on Intel® Core™ X-Series processor configurations only. 26 Choice of Intel Core X processor family will affect other configuration choices and system feature set availability; refer to the product Quickspecs for details. 27 Intel® C422 for Intel® Xeon® configurations, Intel® X299 for Intel® Core™ X configurations. 28 HP Sure Click is available on most HP PCs and supports Microsoft® Internet Explorer, Google Chrome, and Chromium™. Supported attachments include Microsoft Office (Word, Excel, PowerPoint) and PDF files in read only mode, when Microsoft Office or Adobe Acrobat are installed. 29 Intel® Turbo Boost technology requires a PC with a processor with Intel Turbo Boost capability. Intel Turbo Boost performance varies depending on hardware, software and overall system configuration. See www.intel.com/technology/turboboost for more information. 30 Your product does not support Windows 8 or Windows 7. In accordance with Microsoft’s support policy, HP does not support the Windows® 8 or Windows 7 operating system on products configured with Intel® and AMD 7th generation and forward processors or provide any Windows® 8 or Windows 7 drivers on http://www.support.hp.com 31 HP Performance Advisor – Internet access required. 1 Not all features are available in all editions or versions of Windows. Systems may require upgraded and/or separately purchased hardware, drivers, software or BIOS update to take full advantage of Windows® functionality. Windows 10 is automatically updated, which is always enabled. ISP fees may apply and additional requirements may apply over time for updates. See http://www.windows.com. 2 HP Client Security Suite Gen3 requires Windows and Intel® or AMD 7th Gen processors. 3 1 Not all features are available in all editions or versions of Windows. Systems may require upgraded and/or separately purchased hardware, drivers, software or BIOS update to take full advantage of Windows functionality. Windows 10 is automatically updated, which is always enabled. ISP fees may apply and additional requirements may apply over time for updates. See http://www.windows.com. 2 Multicore is designed to improve performance of certain software products. Not all customers or software applications will necessarily benefit from use of this technology. Performance and clock frequency will vary depending on application workload and your hardware and software configurations. Intel’s numbering, branding and/or naming is not a measurement of higher performance. 3 Some Intel® vPro™ functionality of this technology, such as Intel® Active management technology and Intel Virtualization technology, requires additional 3rd party software in order to run. Availability of future "virtual appliances" applications for Intel vPro technology is dependent on 3rd party software providers. Microsoft Windows required. Intel vPro is supported only with Intel® Xeon™ configurations. 4 For hard drives and solid state drives, 1 GB = 1 billion bytes. TB = 1 trillion bytes. Actual formatted capacity is less. Up to 30 GB of system disk is reserved for system recovery software. 5 Duplication of copyrighted material is strictly prohibited. Actual speeds may vary. Double Layer media compatibility will widely vary with some home DVD players and DVD-ROM drives. Note that DVD-RAM cannot read or write to 2.6GB Single Sided/5.2 Double Sided-Version 1.0 Media. No support for DVD RAM. 6 With Blu-Ray, certain disc, digital connection, compatibility and/or performance issues may arise, and do not constitute defects in the product. Flawless playback on all systems is not guaranteed. In order for some Blu-ray titles to play, they may require a DVI or HDMI digital connection and your display may require HDCP support. HD-DVD movies cannot be played on this Desktop PC. 7 HP Client Security Manager G3 - Requires Windows and Intel® 7th or 8th generation processors. 8 For systems installed with Microsoft Windows 7 (Ultimate, Enterprise or Professional), the maximum accessible system memory is 192 GB. Windows 7 is not supported on the Intel® Core XTM - Series processor configurations. Windows 7 is not supported on the Intel® Core XTM - Series processor configurations. For systems installed with Microsoft Windows 8.x (Enterprise or Pro), the maximum accessible system memory is 512 GB. 9 Wireless access point and Internet access required. Availability of public wireless access points limited. The specifications for the 802.11ac WLAN are draft specifications and are not final. If the final specifications differ from the draft specifications, it may affect the ability of the notebook to communicate with other 802.11ac WLAN devices. 10 Optional or add-on feature. 11 EPEAT® registered where applicable. EPEAT registration varies by country. See www.epeat.net for registration status by country. Search keyword generator on HP’s 3rd party option store for solar generator accessories at http://www.hp.com/go/options www.hp.com/go/options 12 External power supplies, power cords, cables and peripherals are not low halogen. Service parts obtained after purchase may not be low halogen. 13 HP Remote Graphics Software requires network connection. Performance dependent on network latency and image frame content. 14 HP BIOSphere G3 requires Intel® 7th generation processors. 15 HP Secure Erase: For the methods outlined in the National Institute of Standards and Technology Special Publication 800-88 "Clear" sanitation method. 16 Each bay is configurable to 2.5” or 3.5”. 17 HP MIK/SCCM - HP Manageability Integration Kit can be downloaded from http://www.hp.com/go/clientmanagement. 18 HP Keyed Cable Lock Kit is available only as an aftermarket option. 19 Available the first half of 2018. 20 I210-AT, I219-V are available in Intel® Xeon® configurations only. 21 In accordance with Microsoft’s support policy, HP does not support the Windows 8 or Windows 7 operating system on products configured with Intel and AMD 7th generation and forward processors or provide any Windows 8 or Windows 7 drivers on http://www.support.hp.com. 22 465W and 750W power supply options are only available for Intel® Xeon® configurations. 23 Supported only on Intel ® Xeon® configurations: Not supported with Intel® Core XTM processor configurations. 24 Available on Intel® Xeon® W processor configurations only. 25 Available on Intel® Core™ X-Series processor configurations only. 26 Choice of Intel Core X processor family will affect other configuration choices and system feature set availability; refer to the product Quickspecs for details. 27 Intel® C422 for Intel® Xeon® configurations, Intel® X299 for Intel® Core™ X configurations. 28 HP Sure Click is available on most HP PCs and supports Microsoft® Internet Explorer, Google Chrome, and Chromium™. Supported attachments include Microsoft Office (Word, Excel, PowerPoint) and PDF files in read only mode, when Microsoft Office or Adobe Acrobat are installed. 29 Intel® Turbo Boost technology requires a PC with a processor with Intel Turbo Boost capability. Intel Turbo Boost performance varies depending on hardware, software and overall system configuration. See www.intel.com/technology/turboboost for more information. 30 Your product does not support Windows 8 or Windows 7. In accordance with Microsoft’s support policy, HP does not support the Windows® 8 or Windows 7 operating system on products configured with Intel® and AMD 7th generation and forward processors or provide any Windows® 8 or Windows 7 drivers on http://www.support.hp.com 31 HP Performance Advisor – Internet access required. Intel® Turbo Boost performance varies depending on hardware, software and overall system configuration. See http://www.intel.com/technology/turboboost/ for more information. 1 Not all features are available in all editions or versions of Windows. Systems may require upgraded and/or separately purchased hardware, drivers, software or BIOS update to take full advantage of Windows functionality. Windows 10 is automatically updated, which is always enabled. ISP fees may apply and additional requirements may apply over time for updates. See http://www.windows.com. 2 Multicore is designed to improve performance of certain software products. Not all customers or software applications will necessarily benefit from use of this technology. Performance and clock frequency will vary depending on application workload and your hardware and software configurations. Intel’s numbering, branding and/or naming is not a measurement of higher performance. 3 Some Intel® vPro™ functionality of this technology, such as Intel® Active management technology and Intel Virtualization technology, requires additional 3rd party software in order to run. Availability of future "virtual appliances" applications for Intel vPro technology is dependent on 3rd party software providers. Microsoft Windows required. Intel vPro is supported only with Intel® Xeon™ configurations. 4 For hard drives and solid state drives, 1 GB = 1 billion bytes. TB = 1 trillion bytes. Actual formatted capacity is less. Up to 30 GB of system disk is reserved for system recovery software. 5 Duplication of copyrighted material is strictly prohibited. Actual speeds may vary. Double Layer media compatibility will widely vary with some home DVD players and DVD-ROM drives. Note that DVD-RAM cannot read or write to 2.6GB Single Sided/5.2 Double Sided-Version 1.0 Media. No support for DVD RAM. 6 Multi-core is designed to improve performance of certain software products. Not all customers or software applications will necessarily benefit from use of this technology. Performance and clock frequency will vary depending on application workload and your hardware and software configurations. Intel’s numbering is not a measurement of higher performance. Intel, Pentium, Intel Core, Celeron, Intel logo and the Intel Inside logo are trademarks of Intel Corporation in the U.S. and other countries. 7 Intel® Turbo Boost performance varies depending on hardware, software and overall system configuration. See http://www.intel.com/technology/turboboost/ for more information. 8 For systems installed with Microsoft Windows 7 (Ultimate, Enterprise or Professional), the maximum accessible system memory is 192 GB. Windows 7 is not supported on the Intel® Core XTM - Series processor configurations. Windows 7 is not supported on the Intel® Core XTM - Series processor configurations. For systems installed with Microsoft Windows 8.x (Enterprise or Pro), the maximum accessible system memory is 512 GB. 9 Wireless access point and Internet access required. Availability of public wireless access points limited. The specifications for the 802.11ac WLAN are draft specifications and are not final. If the final specifications differ from the draft specifications, it may affect the ability of the notebook to communicate with other 802.11ac WLAN devices. 10 Optional or add-on feature. 11 EPEAT® registered where applicable. EPEAT registration varies by country. See www.epeat.net for registration status by country. Search keyword generator on HP’s 3rd party option store for solar generator accessories at http://www.hp.com/go/options www.hp.com/go/options 12 External power supplies, power cords, cables and peripherals are not low halogen. Service parts obtained after purchase may not be low halogen. 13 HP Remote Graphics Software requires network connection. Performance dependent on network latency and image frame content. 14 HP BIOSphere G3 requires Intel® 7th generation processors. 15 HP Secure Erase: For the methods outlined in the National Institute of Standards and Technology Special Publication 800-88 "Clear" sanitation method. 16 Each bay is configurable to 2.5” or 3.5”. 17 HP MIK/SCCM - HP Manageability Integration Kit can be downloaded from http://www.hp.com/go/clientmanagement. 18 HP Keyed Cable Lock Kit is available only as an aftermarket option. 19 Available the first half of 2018. 20 I210-AT, I219-V are available in Intel® Xeon® configurations only. 21 In accordance with Microsoft’s support policy, HP does not support the Windows 8 or Windows 7 operating system on products configured with Intel and AMD 7th generation and forward processors or provide any Windows 8 or Windows 7 drivers on http://www.support.hp.com. 22 465W and 750W power supply options are only available for Intel® Xeon® configurations. 23 Supported only on Intel ® Xeon® configurations: Not supported with Intel® Core XTM processor configurations. 24 Available on Intel® Xeon® W processor configurations only. 25 Available on Intel® Core™ X-Series processor configurations only. 26 Choice of Intel Core X processor family will affect other configuration choices and system feature set availability; refer to the product Quickspecs for details. 27 Intel® C422 for Intel® Xeon® configurations, Intel® X299 for Intel® Core™ X configurations. 28 HP Sure Click is available on most HP PCs and supports Microsoft® Internet Explorer, Google Chrome, and Chromium™. Supported attachments include Microsoft Office (Word, Excel, PowerPoint) and PDF files in read only mode, when Microsoft Office or Adobe Acrobat are installed. 29 Intel® Turbo Boost technology requires a PC with a processor with Intel Turbo Boost capability. Intel Turbo Boost performance varies depending on hardware, software and overall system configuration. See www.intel.com/technology/turboboost for more information. 30 Your product does not support Windows 8 or Windows 7. In accordance with Microsoft’s support policy, HP does not support the Windows® 8 or Windows 7 operating system on products configured with Intel® and AMD 7th generation and forward processors or provide any Windows® 8 or Windows 7 drivers on http://www.support.hp.com 31 HP Performance Advisor – Internet access required. 6 Multi-core is designed to improve performance of certain software products. Not all customers or software applications will necessarily benefit from use of this technology. Performance and clock frequency will vary depending on application workload and your hardware and software configurations. Intel’s numbering is not a measurement of higher performance. Intel, Pentium, Intel Core, Celeron, Intel logo and the Intel Inside logo are trademarks of Intel Corporation in the U.S. and other countries. 7 Intel® Turbo Boost performance varies depending on hardware, software and overall system configuration. See http://www.intel.com/technology/turboboost/ for more information. 1 Not all features are available in all editions or versions of Windows. Systems may require upgraded and/or separately purchased hardware, drivers, software or BIOS update to take full advantage of Windows® functionality. Windows 10 is automatically updated, which is always enabled. ISP fees may apply and additional requirements may apply over time for updates. See http://www.windows.com. 2 HP Client Security Suite Gen3 requires Windows and Intel® or AMD 7th Gen processors. 3 1 Not all features are available in all editions or versions of Windows. Systems may require upgraded and/or separately purchased hardware, drivers, software or BIOS update to take full advantage of Windows functionality. Windows 10 is automatically updated, which is always enabled. ISP fees may apply and additional requirements may apply over time for updates. See http://www.windows.com. 2 Multicore is designed to improve performance of certain software products. Not all customers or software applications will necessarily benefit from use of this technology. Performance and clock frequency will vary depending on application workload and your hardware and software configurations. Intel’s numbering, branding and/or naming is not a measurement of higher performance. 3 Some Intel® vPro™ functionality of this technology, such as Intel® Active management technology and Intel Virtualization technology, requires additional 3rd party software in order to run. Availability of future "virtual appliances" applications for Intel vPro technology is dependent on 3rd party software providers. Microsoft Windows required. Intel vPro is supported only with Intel® Xeon™ configurations. 4 For hard drives and solid state drives, 1 GB = 1 billion bytes. TB = 1 trillion bytes. Actual formatted capacity is less. Up to 30 GB of system disk is reserved for system recovery software. 5 Duplication of copyrighted material is strictly prohibited. Actual speeds may vary. Double Layer media compatibility will widely vary with some home DVD players and DVD-ROM drives. Note that DVD-RAM cannot read or write to 2.6GB Single Sided/5.2 Double Sided-Version 1.0 Media. No support for DVD RAM. 6 Multi-core is designed to improve performance of certain software products. Not all customers or software applications will necessarily benefit from use of this technology. Performance and clock frequency will vary depending on application workload and your hardware and software configurations. Intel’s numbering is not a measurement of higher performance. Intel, Pentium, Intel Core, Celeron, Intel logo and the Intel Inside logo are trademarks of Intel Corporation in the U.S. and other countries. 7 Intel® Turbo Boost performance varies depending on hardware, software and overall system configuration. See http://www.intel.com/technology/turboboost/ for more information. 8 For systems installed with Microsoft Windows 7 (Ultimate, Enterprise or Professional), the maximum accessible system memory is 192 GB. Windows 7 is not supported on the Intel® Core XTM - Series processor configurations. Windows 7 is not supported on the Intel® Core XTM - Series processor configurations. For systems installed with Microsoft Windows 8.x (Enterprise or Pro), the maximum accessible system memory is 512 GB. 9 Wireless access point and Internet access required. Availability of public wireless access points limited. The specifications for the 802.11ac WLAN are draft specifications and are not final. If the final specifications differ from the draft specifications, it may affect the ability of the notebook to communicate with other 802.11ac WLAN devices. 10 Optional or add-on feature. 11 EPEAT® registered where applicable. EPEAT registration varies by country. See www.epeat.net for registration status by country. Search keyword generator on HP’s 3rd party option store for solar generator accessories at http://www.hp.com/go/options www.hp.com/go/options 12 External power supplies, power cords, cables and peripherals are not low halogen. Service parts obtained after purchase may not be low halogen. 13 HP Remote Graphics Software requires network connection. Performance dependent on network latency and image frame content. 14 HP BIOSphere G3 requires Intel® 7th generation processors. 15 HP Secure Erase: For the methods outlined in the National Institute of Standards and Technology Special Publication 800-88 "Clear" sanitation method. 16 Each bay is configurable to 2.5” or 3.5”. 17 HP MIK/SCCM - HP Manageability Integration Kit can be downloaded from http://www.hp.com/go/clientmanagement. 18 HP Keyed Cable Lock Kit is available only as an aftermarket option. 19 Available the first half of 2018. 20 I210-AT, I219-V are available in Intel® Xeon® configurations only. 21 In accordance with Microsoft’s support policy, HP does not support the Windows 8 or Windows 7 operating system on products configured with Intel and AMD 7th generation and forward processors or provide any Windows 8 or Windows 7 drivers on http://www.support.hp.com. 22 465W and 750W power supply options are only available for Intel® Xeon® configurations. 23 Supported only on Intel ® Xeon® configurations: Not supported with Intel® Core XTM processor configurations. 24 Available on Intel® Xeon® W processor configurations only. 25 Available on Intel® Core™ X-Series processor configurations only. 26 Choice of Intel Core X processor family will affect other configuration choices and system feature set availability; refer to the product Quickspecs for details. 27 Intel® C422 for Intel® Xeon® configurations, Intel® X299 for Intel® Core™ X configurations. 28 HP Sure Click is available on most HP PCs and supports Microsoft® Internet Explorer, Google Chrome, and Chromium™. Supported attachments include Microsoft Office (Word, Excel, PowerPoint) and PDF files in read only mode, when Microsoft Office or Adobe Acrobat are installed. 29 Intel® Turbo Boost technology requires a PC with a processor with Intel Turbo Boost capability. Intel Turbo Boost performance varies depending on hardware, software and overall system configuration. See www.intel.com/technology/turboboost for more information. 30 Your product does not support Windows 8 or Windows 7. In accordance with Microsoft’s support policy, HP does not support the Windows® 8 or Windows 7 operating system on products configured with Intel® and AMD 7th generation and forward processors or provide any Windows® 8 or Windows 7 drivers on http://www.support.hp.com 31 HP Performance Advisor – Internet access required. 6 Multi-core is designed to improve performance of certain software products. Not all customers or software applications will necessarily benefit from use of this technology. Performance and clock frequency will vary depending on application workload and your hardware and software configurations. Intel’s numbering is not a measurement of higher performance. Intel, Pentium, Intel Core, Celeron, Intel logo and the Intel Inside logo are trademarks of Intel Corporation in the U.S. and other countries. Windows 10 Pro 64 for Workstations - HP recommends Windows 10 Pro. ENERGY STAR® qualified configurations available.